I was a little unsure about using kale to make a snack chip, but these turned out really good. 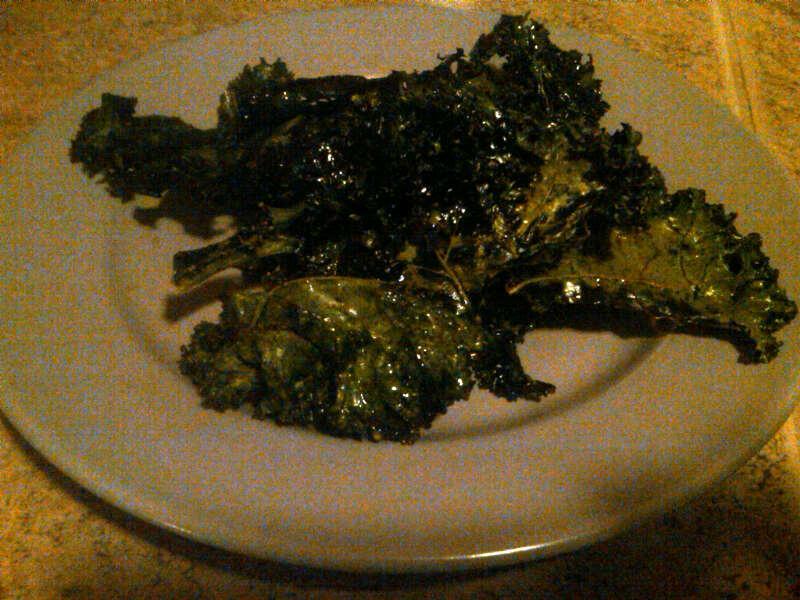 Wash kale and pat dry with paper towel, or let air dry. Rip kale leaves off thick stems. You can chop the kale into chip size pieces or tear it (this is what I did, it seemed the easiest). Put pieces into a large bowl. Toss with olive oil and salt and pepper. Be careful not to put too much seasoning. The leaves really shrink down when they are cooked, which condenses the seasoning. Spread the leaves in a single layer onto a parchment paper lined baking sheet – I used two.